She sat very quiet. Some might say as quiet as a mouse, although really she was more of a chameleon. Merging with the beige couch, her little knees together, back straight, eyes looking, but absolutely no speaking. When it was time for dinner she was beckoned to join the adults at the table. In front of her the grandmother placed a fine bone-china bowl brimming with hot soup. It was thin with golden coloured slicks of fat and a twig of limp dill floating on top. She was afraid to eat the dill because she didn’t like the look of it. So she took her spoon and carefully maneuvered her way around the bowl, pushing the herb to one side and doing her best to avoid the lump of soft carrot that lay on the bottom. She would have liked to have a piece of the hard rye bread that sat in the silver bread basket, winking darkly at her from between a crisply folded cloth napkin. But not one person offered it and she would never reach for it, nor ask. So thoughts of sopping soup up with chunks of brown bread remained just that, mere thoughts in this child’s mind. After dinner she returned to the couch, knees together, back straight, eyes looking, but absolutely no speaking. 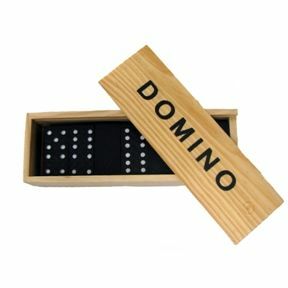 The grandmother placed in front of her a rectangular box that she knew was filled with neat rows of black domino tiles. The grandfather smiled briefly and then returned to his adult conversation assured that his granddaughter was now well entertained. But dominos were not much fun to play with by your self. She touched the top of the box and slid the lid back and forth on the tiny wooden grooves. Then she wondered to herself if the dominos ever felt as though they were living in a coffin. She sat very quiet. Some might say as quiet as a mouse, although really she was more of a chameleon. Merging behind the beige couch, suppressing the giggle that bubbled up into her throat as she spied on her grandfather, walking backwards and forwards, ever so near and yet still ruminating loudly on where-oh-where could she possibly be? Finally, bursting with impatience, she leapt- arms wide open to surprise the old man who never failed to clutch at his heart as though the shock would be the very end of them all. He took her by the hand to the table where the grandmother had placed a hot bowl of penne to cool ready for her, white and floating in butter, just the way she liked it. The grandfather got her a soft bread roll and the grandmother gave her a glass of cool lemonade before they sat to their own meal of pasta drenched in red sauce and smothered in hard flakes of stinky cheese. After dinner they sat together for hours, slurping on orange segments and spitting lupini skins. They taught her the old village card game of cups and clubs, smiling at the grandfather’s obvious attempts of cheating by storing aces in his top pocket, purposely visible so that his granddaughter would be delighted at catching him out every single time. At the end of the game he played a trick that she adored, pulling a shiny gold coin from her ear. She smiled and laughed out aloud with the joy of it all- throwing herself into his arms for a long hug which ended with two little kisses on his bristly cheek. Then he popped the shiny gold coin in her hand and kissed the top of her head in a quiet blessing of praise for the precious gift he had been given. Wow. You did it again. Love it. My Grand Dad loved playing cards with us all also. Being of the older generation he would play us for money and win or lose he would always slip the coins in our pockets. What will be our thing when we are at that stage of our lives? Better start brushing up on on PS3 & WII. It’s amazing how different the grandparent experience can be. Lovely piece.